NuVJ is an intuitive VJ environment which seamlessly integrates software and hardware for a professional quality, hassle-free performance. The NuVJ environment is based around a DJ-style setup which allows you to mix, scratch, and apply effects to video clips and images. The NuVJ software and controller have been designed to be simple to use, while allowing for unprecedented variation and creativity with your visual sources thanks to an extended set of features such as live inputs, synchronization to music, and real-time visual effect generation. 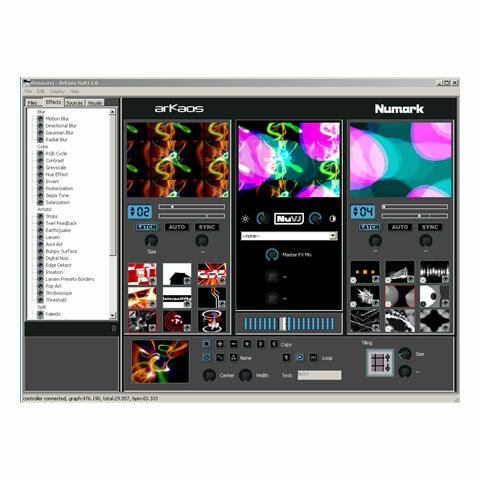 While other products rely on hardware to mix video, the NuVJ software developped by ArKaos uses the power of graphical cards present in every computer. This allows higher resolutions and more complex effects at a very affordable price. The NuVJ runs on PC and Mac, it allows DJs to incorporate images and video clips in much the same way as mixing music. With the NuVJ, the VJ can trigger images and video clips, add effects to them, mix them through an onboard DJ style crossfader and tweak them in order to create unique and spectacular shows. 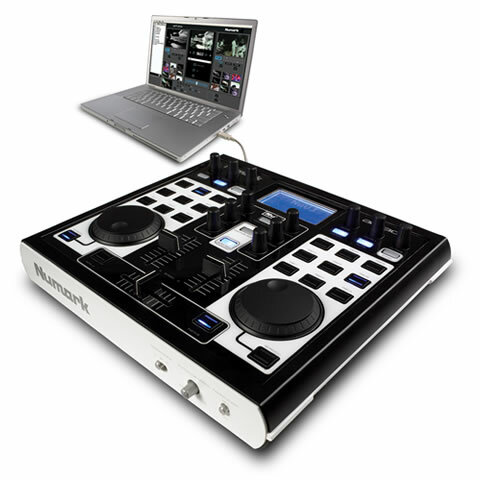 The hardware controller works seamlessly with existing DJ gear and the software is compatible with most computers and laptops. The NuVJ is simply easier, better and more affordable than any other VJ product on the market. The NuVJ Video Controller delivers a wealth of stunning visual capability combined with intuitive operation and makes a perfect video counterpart to an audio setup. With video sample playback and effects from a wide range of sources, internal generation of patterns and backgrounds, real-time effects, crossover patterns, and numerous additional features, the NuVJ Video Controller is the ideal tool for DJs in search of their first video setup. The NuVJ is the perfect tool for DJs who want to synchronize video with their musical performance. 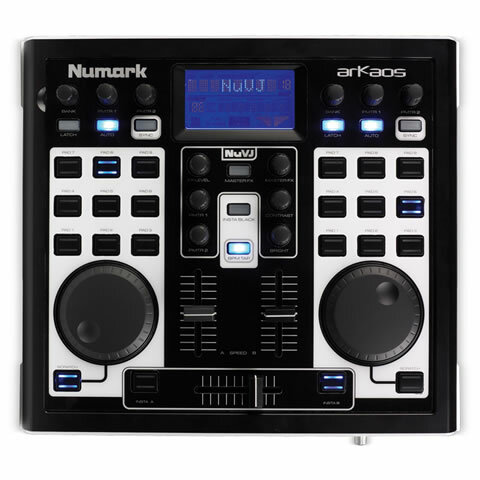 The NuVJ is the result of the combined expertise of Numark and ArKaos to create a hardware/software product that is a natural extension of the DJ set up. The NuVJ's intuitive controller interface makes it easy to use and fun to play live. Switch to automatic mode, and let it run by itself to the beat of the musics.